With over 2.5 million Chinese arrivals in the first half of 2018 – accounting for 30% of all international arrivals – Vietnam experienced its most successful half-year period for Chinese outbound tourism to date. The total is 36.1% higher than 2017’s equivalent figure of 1.9 million and 214% larger than the 820,000 received in the first half of 2015. This remarkable growth will accordingly see Vietnam overtake South Korea as the fifth most visited outbound destination among Mainland Chinese travellers for H1 2018, behind Hong Kong and Macao in Greater China, as well as Thailand and Japan. Having welcomed over 8 million Chinese tourists in 2016, South Korea’s continued slump in visitor numbers from China – which saw only just over 1 million Chinese arrivals in Q1 2018 (a -30.5% year-on-year decrease) – can however be read as a cautionary tale for Vietnam and other regional destinations in which the China has become an essential source market for international tourist arrivals. The collapse in Chinese arrivals to South Korea – which has helped fuel Vietnam’s own boom, as travellers from China have sought out alternative destinations – came as a consequence of the lingering effects Seoul’s deployment of the US Terminal High Altitude Area Defence (THAAD) system on its territory and the subsequent banning of Chinese tour groups to the country. When Vietnam also suffered drop-offs in Chinese arrivals in 2014 and 2015 amidst anti-China protests following territorial disputes that resulted in a -8.4% year-on-year decrease in Chinese visitors in 2015, the almost complete shutdown of package groups from China to South Korea was far more impactful, having been estimated in December 2017 to have caused losses of 7.5 trillion KRW (ca. 6.8 billion USD) in the county’s tourism industry. With second, third and lower tier cities now serving as a key driver of growth in global Chinese outbound tourism, regional countries such as South Korea and Vietnam, which often serve as the first international travel destinations beyond the Greater China region for many less-experienced Chinese outbound travellers, are particularly exposed to wider shifts in Chinese outbound travel trends. Accordingly, as the numbers of Chinese arrivals to Vietnam continue to grow, many in the domestic industry are starting to ask questions of both overreliance on a single source market, as well as considering the issues of sustainability and destination image. Banking on lower yield travellers from second, third and lower tier cities (who made up 62% of all Chinese visitors to Vietnam in Q1 2018) has allowed many Vietnamese tourist service providers to become complacent and neglect more sustainable high-end travellers booking through OTA platforms such as Ctrip, as well as ignore heavy losses from North American and Western European source markets. 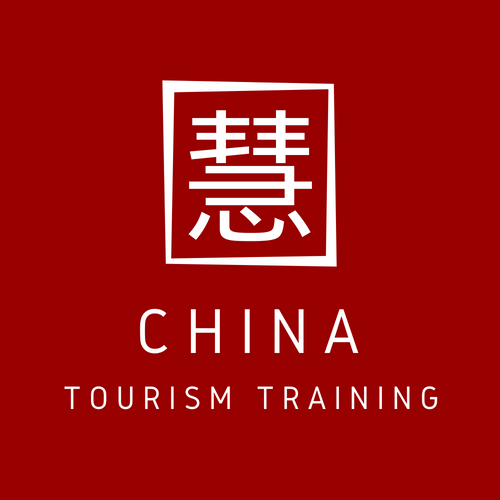 Furthermore, as absolute numbers of Chinese arrivals continue to rise, issues surrounding overtourism can come into play for both Chinese and locals alike. Should Vietnam, for example, gain a reputation as a cheap and low-quality destination among Chinese tourists, on account of becoming overrun by conspicuous tour groups being exploited as part of zero dollar travel packages, it can gain a poor reputation in the eyes of both more and lesser-experienced travellers. Among Vietnamese, however, excessive numbers from the Chinese market can also generate antagonism. This can be seen in examples of friction already being caused among the Vietnamese industry following groups illegally bringing their own Chinese-speaking tour guides, overcrowding at popular tourist sites and the publishing of local tourism ‘etiquette guides’, while the the risk of the re-emergence of geopolitical tensions could cause further issues. Accordingly, the threat of a backlash against travellers from a key market – who always have the option to visit other regional destinations – remains ever present. With the growth of Chinese visitor numbers in eastern and south-eastern Asian destinations serving as both a reflection and consequence of China’s wider rise on the global scale, regional governments, such as those of Vietnam, Thailand and South Korea will need to approach the topic of Chinese outbound tourism in a holistic manner that balances key economic, political and domestic social factors in a manner that countries in farther regions are less exposed to. *Data provided by COTRI Analytics. For more information, please see the following link.